Judge Sarah Evans Barker is one of Indiana’s most respected jurists and citizens, and a much-treasured alumna of Indiana University. 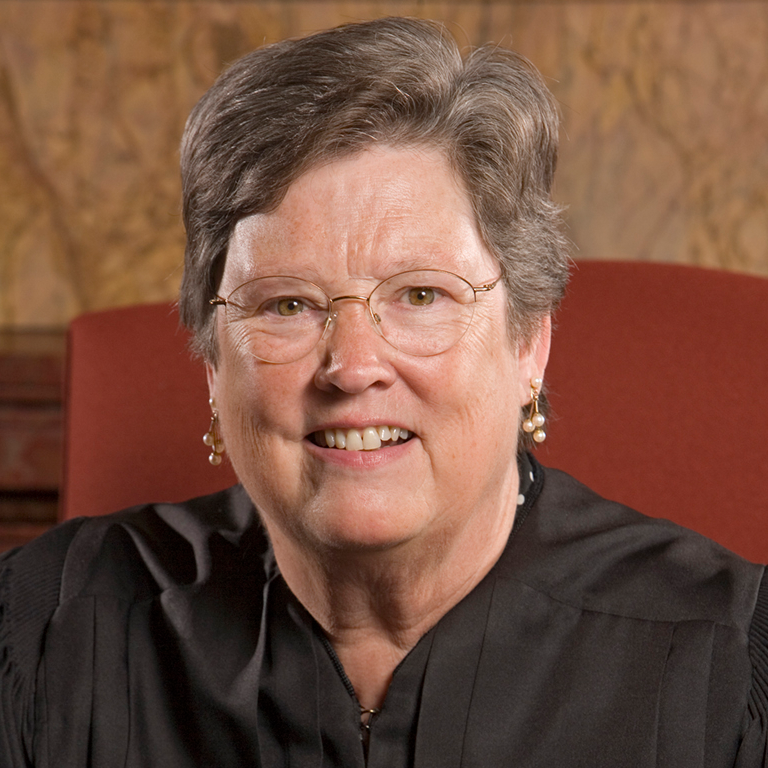 Judge Sarah Evans Barker was appointed to the United States District Court, Southern District of Indiana by President Ronald Reagan in 1984, and has been active in numerous judicial and bar-related organizations throughout her career. Prior to her appointment, Judge Barker was United States Attorney for the Southern District of Indiana, and, earlier, an associate and partner at the Indianapolis law firm of Bose, McKinney & Evans. She began her legal career as legislative assistant to Senator Charles H. Percy in Washington, D.C. In addition to her distinguished judicial career, Judge Barker is also involved in civic, educational, cultural, and religious organizations, including the Indiana Bicentennial Commission and the Board of Directors of Indiana University Health, Inc.
She is a founder and serves on the executive board of The Gathering, a group of prominent Indiana women leaders. The portrait was painted by artist Gina Rogers.